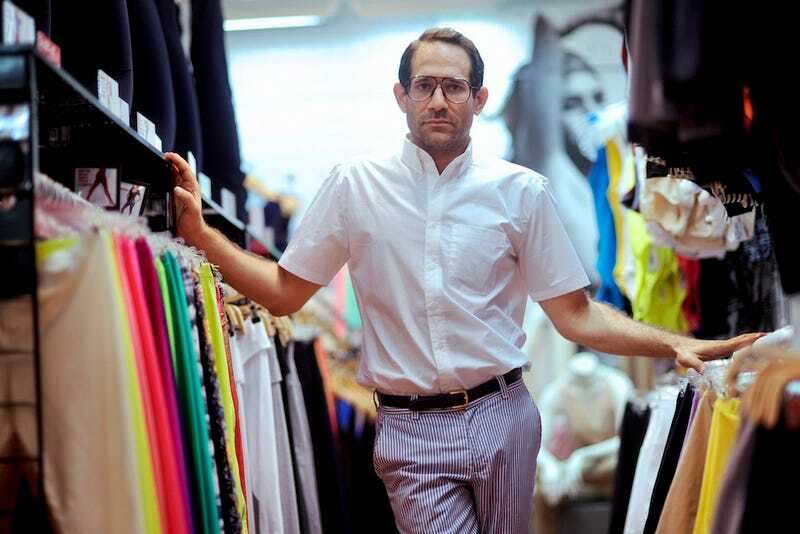 American Apparel has served its perennially bitter ex, former CEO/founder Dov Charney, with a temporary restraining order. A quick recap: After Charney sued Standard General—the hedge fund that, as of Charney’s 2014 ouster, more-or-less controls the company’s Board of Directors—for defamation early last month, American Apparel turned around and sued Charney, for violating the terms of an agreement he signed with the hedge fund last July. Since being fired in December on the grounds that he misused company funds and engaged in inappropriate behavior, Charney and his allies—of whom there are still many, although a number have been fired from American Apparel in the last several months—have been hitting the financially-strapped company with lawsuits in an effort to resist some legitimately questionable structural changes taking place within American Apparel, with the not-so-secret end goal of getting Charney reinstated. Does anyone know if American Apparel even makes clothes anymore?